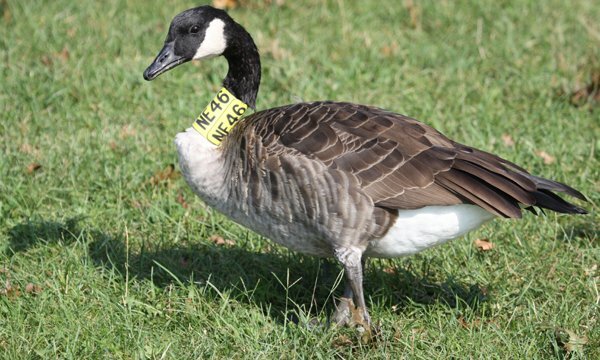 Canada Geese are a nuisance. They poop everywhere, they are far too common, they take down airplanes. Birders tend to ignore them, non-birders tend to loathe them, and few defend or admire them. That is really a shame. 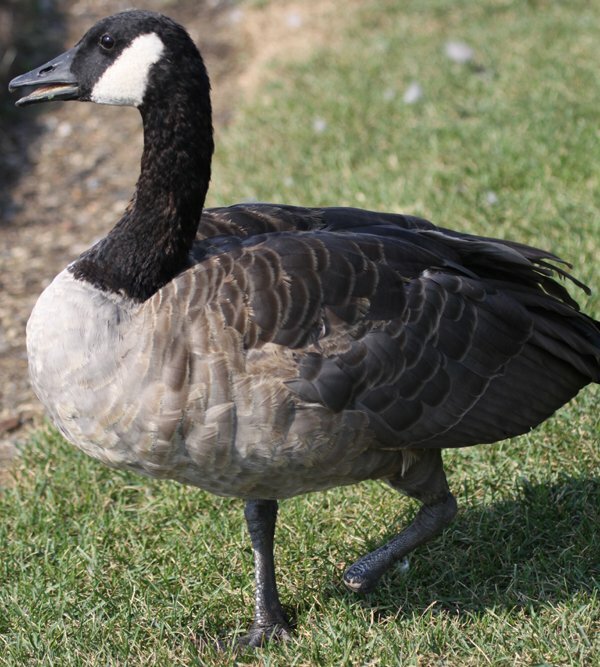 New York City has famously taken to catching and gassing Canada Geese so it is actually getting difficult to find decent-sized flocks of the birds in Brooklyn and Queens. That is why when I came across a flock of over 150 Canada Geese on a recent after work stop at Flushing Meadows Corona Park I took a bit of time to look at and photograph them. And, honestly, it was pretty fun, not only because of the intrinsic value in spending time watching and photographing birds but because the flock had some interesting things to see in it. For example, two of the birds had neck collars. Of course, I have reported both birds and when I hear where they came from I will share the information. But banded birds weren’t the only interesting aspect of this flock. There was also a Frankengoose! 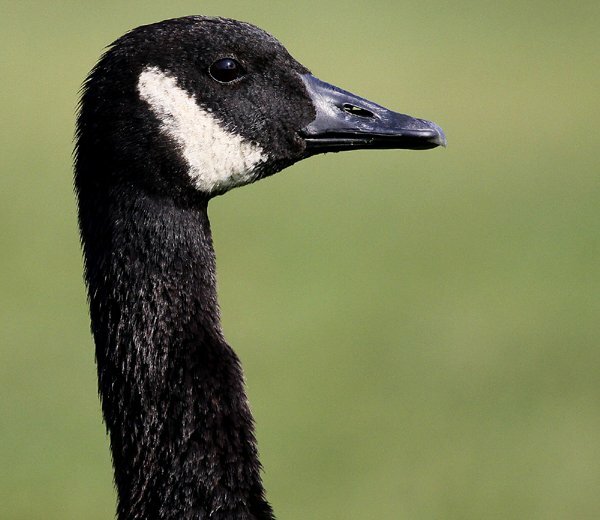 I tried mightily to make it into a Canada Goose X Greater White-fronted Goose and it might be but I think it probably more likely that it is a Canada Goose X barnyard goose. Either way, it was neat to see and hypothesize about it. The goose that stole the show, to me anyway, was a real survivor, a goose that if it were human would be lauded as a triumph of the human spirit but no one ever lauds triumphs of the goose spirit. 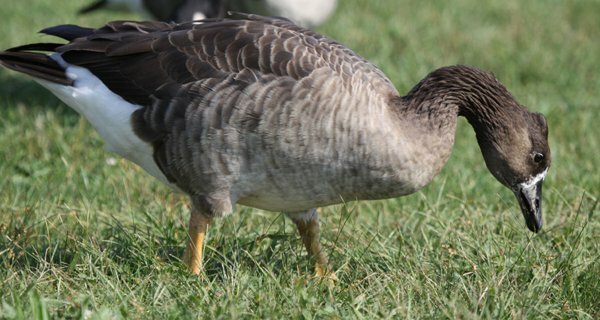 This one-footed goose was hobbling along and seemed to be doing alright. I named it Stumpy. Of course, a bit later in the year there will be even more reasons to look carefully through flocks of Canada Geese but that is no reason not to do it now! We have thousands of the birds outside D.C. Almost every planned housing community has at least one man-made lake, and consequently a home for at least one family if not hundreds of geese. They are fascinating to watch and their interactions with people are incredibly comical. They walk their families across roads, stopping traffic scores of cars deep while we wait for them to get from one side to another. Like many people who have found themselves at the had of such a line, I have exited my car and walked behind the bunch trying to scoot them along. As I verbally remind the birds that they can, in fact, fly, and don’t have to cross in such a dangerous environment, they in turn bip and sass me with amusing impudence. I love how you take the time to give common “trash” birds recognition. I hate that term, but the more I bird, the more I understand it. Still, I think it’s very worthwhile to take a step back and appreciate even the most common feathered friends. They may seem boring at first glance — because of their familiarity — but I find that when you take the time to really watch a bird and learn from it, none of them are boring specimens. And let’s not forget some of the most common species in this country — Passenger Pigeons and Carolina Parakeets — are no longer with us. I know, I know. What a bleeding-heart birder. But I have a special place for the common species since it was the humble House Sparrow that got me started on this now all-consuming hobby. I was always interested in wildlife, but never specifically birds. At my old apartment, we had a nesting pair of House Sparrows and thanks to a large sliding glass door to our little porch, I had the pleasure of really getting to watch the couple (dubbed Theodore & Stella by yours truly) raise their two broods that year. Before I knew what species they were, I was nearly convinced I had stumbled upon some rare birds as I could not find out what they were after several Internet searches. Turns out,, it was actually difficult for a non-birder to try and search for this species since they are so common — no one was really talking about them and the Interwebs seemed to assume that everyone knew what the heck these noisy little dudes were (I felt rather dumb as a result). But for me, they were charming individual creatures who will forever be my introduction into the world of birding. 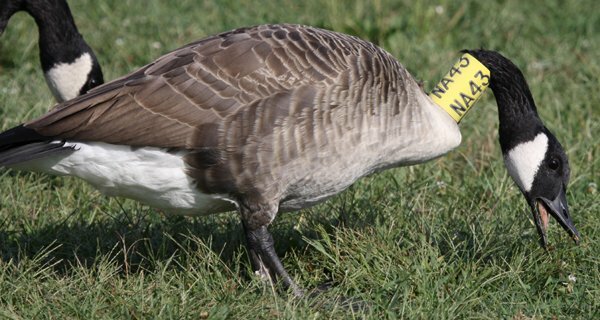 @Everyone: Bird “NA43” was banded in June of 2006 in the very same park I saw him. He was hatched in 2005 or earlier which makes him at least 7 years old. They are likely leaving him alive on purpose instead of culling him because he is tagged.